Are you in the market for a new house, but pondering the pros and cons of a new construction versus a resale home? Delaware house hunters have a lot of exciting options, but it’s important to consider the advantages of buying a newly built home before making such a huge decision. In a lot of ways, choosing a new construction home over a “used” home comes down to much more than dollars and cents. For many homebuyers, the decision is based more upon lifestyle preferences, location, the desire for more energy efficiency, as well as a lower chance of being saddled with costly repairs. Let’s look at some of the key benefits to investing your hard-earned dollars in a newly built home. Buying a resale home will entail a higher risk for ongoing maintenance and operations expenses. From painting, re-grouting, re-carpeting and plumbing, these costs can really add up. A homebuyer might spend upwards of $20,000 on re-wiring the house, replacing an outdated water heater or furnace, and other seemingly minor repairs. On the flip side, new construction homes are generally covered under warranty for at least one year. You can rest assured you won’t be picking up the tab if your water heater stops working or your roof suddenly starts to leak. Also, new homes feature the latest materials for interior and exterior trim that are weather resistant and require less maintenance (That means no repainting every 2 years). Homebuyers also need to factor in projected utility bills when considering a home’s price tag. Most newly-constructed houses are equipped with the latest, most energy-efficient appliances— from washing machines and refrigerators to air conditioning units and gas heating systems. The cost savings on electricity and gas bills alone can be a huge boon to your discretionary budget. Why settle for drafty single-pane windows in a resale home when new homes boast high performance double-paned windows that save you money during summer and winter. When you buy an older house, you’re often stuck with what’s already in place. Beyond the strange layouts – think small kitchens, tiny closets and low ceilings – resale homes may lack the wiring that’s necessary for high-speed Internet devices, security systems and entertainment centers. With newly built homes, the modern buyer can take advantage of built-in Ethernet and TV cables directly wired into every room. Some new construction homes are built in master-planned communities that feature shared open green spaces, nature trails, playgrounds, on-site small shops and businesses, and other inviting neighborhood amenities. 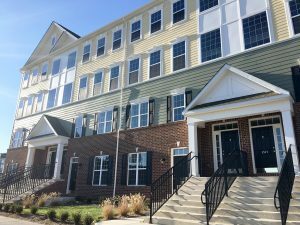 Great examples of such new home communities in Delaware include Montchanin Builders’ Darley Green, situated 10 minutes from downtown Wilmington, and The Town of Whitehall, which is located within the award-winning Appoquinimink School District. At Montchanin Builders, we believe that our new home communities offer more than just beautiful new dwellings – they also provide a sense of camaraderie among neighbors, who are walking distance to fabulous shopping and dining, and have access to some of the best schools. 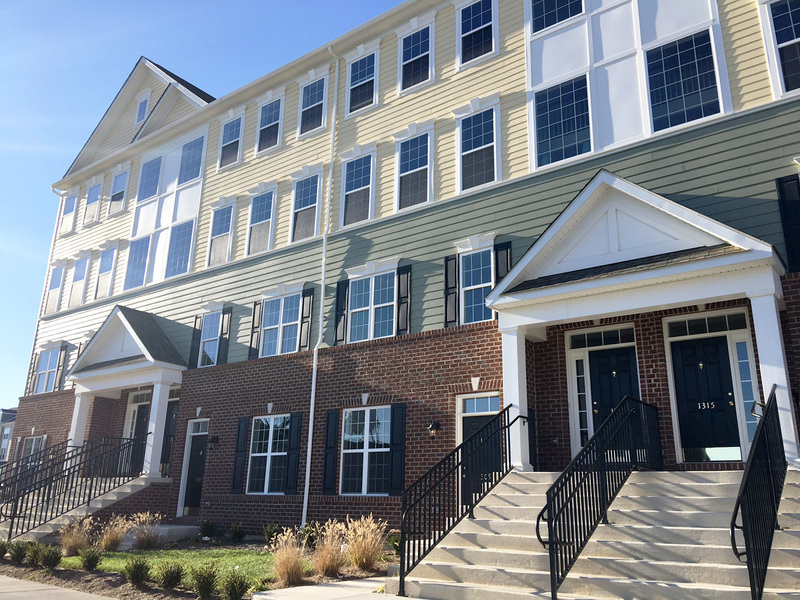 If you’re interested in learning about our single family estate homes at The Town of Whitehall or townhomes, twins or condos at Darley Green, we invite you to contact our sales representatives and learn more about our communities here.